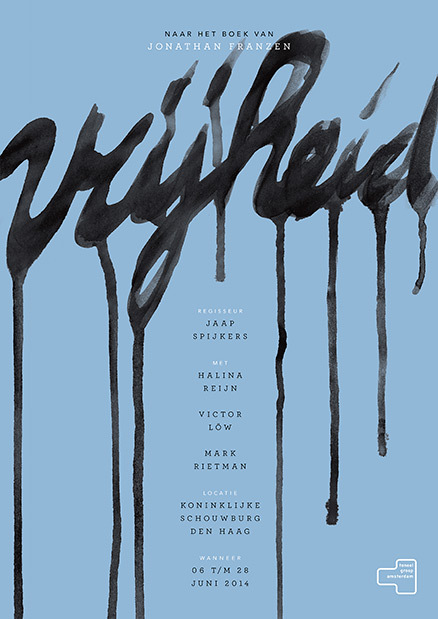 Based on the famous book ‘Freedom’ by Jonathan Franzen comes the theater drama ‘Vrijheid’ to the Dutch stage. For this theater drama I have designed posters and a animated banner. I have put down with loose and unobstructed brushstrokes the title. 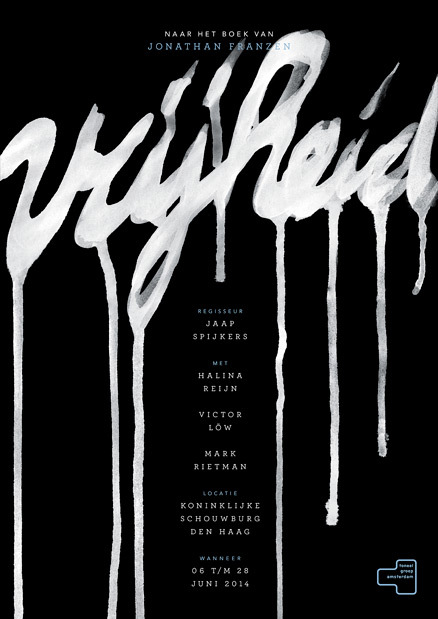 The dripping paint depict the opposite of freedom that emerge in this story.